Running as a Spiritual Practice? Can Running Be a Spiritual Practice? We hope you enjoy this month's newsletter -- Can Running Be a Spiritual Practice? If you find this information interesting and think it may be help others become more peaceful, please be kind and share it! What is a spiritual practice and how can we use running to become more peaceful in our everyday lives? Spirituality is about discovering our true self -- who we are at our core. Who were we before we became a result of our circumstances or our experiences that have affected how we think and feel today? Running can help us look at and then let go of emotions and resentments that we are holding in our bodies that we are not even aware of. To become more peaceful, we need to let go of these traumas that we are holding in our mind and subsequently our bodies. Running can help us remember who we are. So how do we do this? We already practice this with our surface emotions. When we feel frustrated with a current situation, we often say, "I need to go for a run." After running we feel so much better and we have released our anger and frustration and often have developed a new perspective on the situation. 1) As you start running, set your intention to release all past traumas and grievances you have experienced. 2) While your are running, notice your thoughts. You may notice that some incident comes to mind that gives you some sort of bad feeling, such as anger, guilt, resentment, etc. Allow these feelings to rise to the surface and "sit" with them a moment. Feel the emotion and then send forgiveness and love to yourself and whomever else was involved. You can release all resentments with peace. This practice allows healing to take place on a very deep level. Repeat this process for each incident that comes to mind. Some memories may arise that you have previously forgotten about and some events may come to mind more than once. These are the ones which have probably affected you the most. 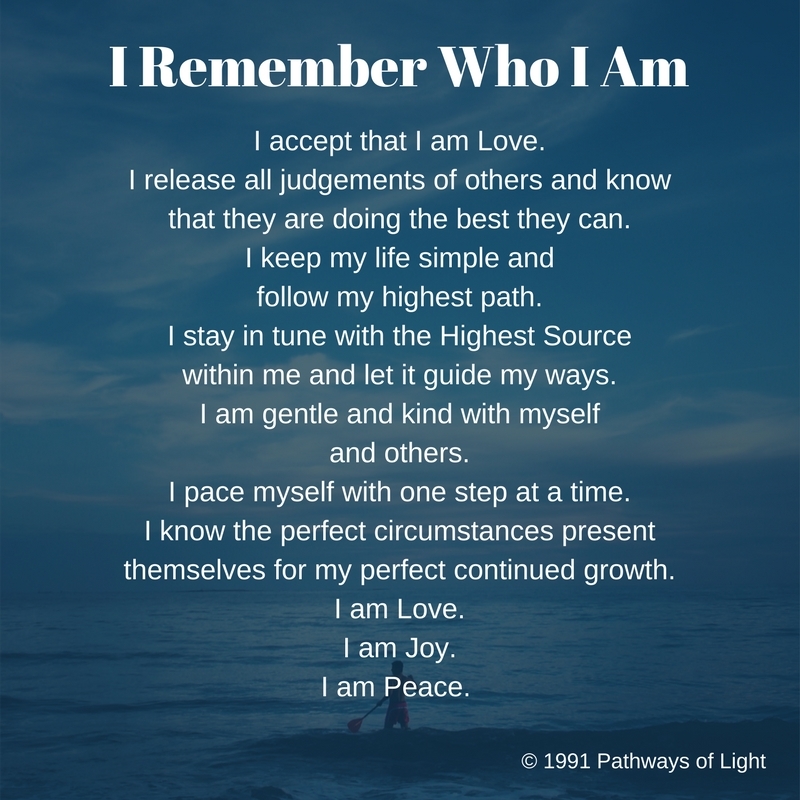 The following beautiful and very relevant guidance from Pathways of Light can also help us remember who we are! Over time you will probably realize that it is yourself who is the hardest person to forgive. When we let go of old grievances, we can experience the peace of mind that forgiveness grants us. On the other hand if we don't release these old traumas, they will surface on their own in some form -- usually in our bodies -- such as an illness or an injury. Illness and injuries are a form of self-punishment for unrecognized and unreleased guilt. A simple example would be the common cold. The next time you feel yourself coming down with a cold notice what your predominant thoughts have recently been about. 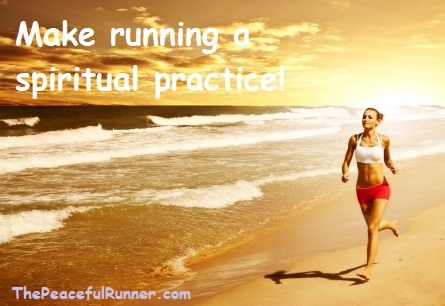 Running can be very effective as a spiritual practice when we make it our intention. The physical exertion that it demands helps us to heal as emotions and traumas are more easily released from our bodies in this active state. Make running part of your spiritual practice and experience a more peaceful, healthy and injury free life. Please feel free to add your comments or questions below.